United Methodist Doctrine: That 70s Show? One way of understanding the creation of the quadrilateral in United Methodism, then, is to see it as a strategy for pitching a big tent and working to ensure that the tent would be big enough for anyone who might come under its cover. To that end, the quadrilateral appeared to be designed to ensure that the method would lead to a variety of conclusions or theological perspectives, not to bring doctrinal unity within a particular faith community. Some United Methodists today would see this as one of the primary virtues of United Methodism, one of the reasons we can agree to disagree and love each other in the midst of disagreement. Others would see this as one of the primary vices of United Methodism, one of the reasons we are not able to find consensus on basic theology or ethics. Regardless of whether you personally love or hate the 1972 statement’s endorsement of theological pluralism, it was intentionally removed from the current statement. In reading the 1972 statement of “Our Theological Task” in connection with the 1988 statement, one has the impression that the 1988 statement was a significant rejection of much of what was in the earlier statement. Theological pluralism is no longer in the statement at all. The arbitrary assertion that our doctrinal standards cannot function as standards in any meaningful way is also removed. While “serious reflection across the theological spectrum” is encouraged, the statement makes clear that “the Church considers its doctrinal affirmations a central feature of its identity and restricts official changes to a constitutional process.” The statement goes on to affirm that, “We are a Church with a distinctive theological heritage.” It continues: “In our diversity, we are held together by a shared inheritance.” The impatience with systems of doctrine in order to get to ethical living is also much less present in the current statement of “Our Theological Task,” which seems to have a more clear recognition that theological reflection is an essential precondition for ethical Christian living. This definition bears the clear mark of Outler’s hand. The 1988 statement generally keeps this understanding, but adds to it. Wesley “looked for confirmations of the biblical witness in human experience, especially the experiences of regeneration and sanctification, but also in the ‘common sense’ knowledge of everyday experience.” In the specific section on experience, much of the material cited above from the 1972 statement is kept, but it is also added to in ways that are in tension with Outler’s understanding of what Wesley meant by experience as a source for theological reflection. The current statement, for example, says “We interpret experience in the light of scriptural norms, just as our experience informs our reading of the biblical message.” On my reading of Outler, he would have serious concerns about the second half of both of the previous quotes. In rereading both statements of “Our Theological Task,” I am struck by the persistent influence of a statement that is obsolete. It is difficult to change understandings of doctrine overnight. It also seems problematic when a discarded understanding of the theological task is still influencing and informing the current popular United Methodist understanding of theology. Even worse, the 1972 statement at times seems more influential than our actual doctrinal standards, particularly when neither statement of “Our Theological Task” has ever been understood as a standard for United Methodist doctrine. United Methodist doctrine exists. But whether it is owned by rank and file United Methodists is, regrettably, an open question. For much more information on the 1972 and 1988 statements on “Our Theological Task” see Doctrine and Theology in The United Methodist Church, edited by Thomas A. Langford. Kevin M. Watson offers the first in-depth examination of an essential early Methodist tradition: the band meeting, a small group of five to seven people who focused on the confession of sin in order to grow in holiness. Watson shows how the band meeting, which figured significantly in John Wesley’s theology of discipleship, united Wesley’s emphasis on the importance of holiness with his conviction that Christians are most likely to make progress in the Christian life together, rather than in isolation. Demonstrating that neither John Wesley’s theology nor popular Methodism can be understood independent of each other, Watson explores how Wesley synthesized important aspects of Anglican piety (an emphasis on a disciplined practice of the means of grace) and Moravian piety (an emphasis on an experience of justification by faith and the witness of the Spirit) in his own version of the band meeting. Pursuing Social Holiness is an essential contribution to understanding the critical role of the band meeting in the development of British Methodism and shifting concepts of community in eighteenth-century British society. OUP’s listing has more information about the book, including the Table of Contents. I think that readers of this blog will be particularly interested in the book’s description of Wesley’s understanding of holiness and how his emphasis on the importance of community is connected to sanctification. I also think readers will appreciate the extensive use of primary source materials from early Methodists, giving insight into the popular practice of communal formation in early Methodism. OUP did a great job with this book. I am very please with the layout and production quality. The main factor that may keep many people from buying the book is the price. The book is listed at $74 (though it is currently available on amazon for $62.90), which will unfortunately price it out of many pastor’s personal libraries. For those not familiar with the world of academic publishing, I would note two things: 1) Authors do not determine the prices of their books. 2) Believe it or not, it could have been much worse. Hardcover academic monographs like this one often cost $150! All that to say, I completely understand if you are not interested in spending that much money on a book. Life has been hectic the last month and a half! My thoughts recently turned to this blog and I realized that I had not announced here that The Class Meeting: Reclaiming a Forgotten (and Essential) Small Group Experience is now available. The book can be purchased in print directly from Seedbed at the previous link. (It is only available in print directly from Seedbed.) It can also be purchased electronically through a variety of e-formats, including Amazon Kindle. This link will take you directly to Amazon’s Kindle listing for the book. My previous post included several of the advanced reviews that the book received. Finally, I wrote a post for Seedbed.com that was published on the day the book was released. I also did a video interview that they published. You can view the post here and the interview here. I am encouraged and grateful for the enthusiasm I am seeing for reclaiming the Wesleyan class meeting. Thank you for your support! Over the last few months, many of you have asked for updates on the progress of my book, The Class Meeting: Reclaiming a Forgotten (and Essential) Small Group Experience. The book is an introduction to the central role that the Wesleyan class meeting played in early Methodism, as well as a guide to reclaiming this kind of small group today. I wrote this book because I have personally experienced the blessing of being in a class meeting and I believe that the Holy Spirit will continue to use this small group practice to help women and men grow in faith in Christ if we would only return to it. I believe the Wesleyan approach to small groups is one of great gifts that God has given to the “people called Methodists.” In many ways, writing this book is an attempt to test whether I am correct in my discernment that God wants to bring renewal to the Methodist/Wesleyan family through a return to this practice. Here are a few practical details about the release of the book: The Class Meeting has gone to the printer and will be released on November 15 of this year. The list price for the book is $16.95. There is a 20% discount for all preorders of the book before November 15. Seedbed has created a page that has quite a bit more information about the book, classmeeting.seedbed.com. If you want to read the first chapter of the book now, they will send you the first chapter if you enter your email address. If you are considering using the book in a group (which is my hope for the book), you can find out information about discounts on bulk orders here as well. Kevin Watson has given us a wonderful gift. He has resurrected an historic Wesleyan practice—the class meeting—and given it fresh meaning, showing its relevance for the church today. Kevin shows us how the class meeting may be a perfect means for church renewal, a gift of God, through the Wesleyan movement, for such a time as this. Kevin Watson has written a fresh new guide to the theory and practice of the Wesley Class meeting, an essential element of truly Wesleyan spirituality. As an experienced participant and initiator of class meetings in academic and congregational settings, Watson is a faithful guide. I highly recommend this book to clergy and congregations who are looking for ways to develop deeper discipleship and reconnect with our own, rich Wesleyan heritage. historical and the practical, Watson invites readers to embrace not only the generous value of the class meeting in the past but also to participate in what promise it holds for the present and beyond in raising up disciples of Jesus Christ. 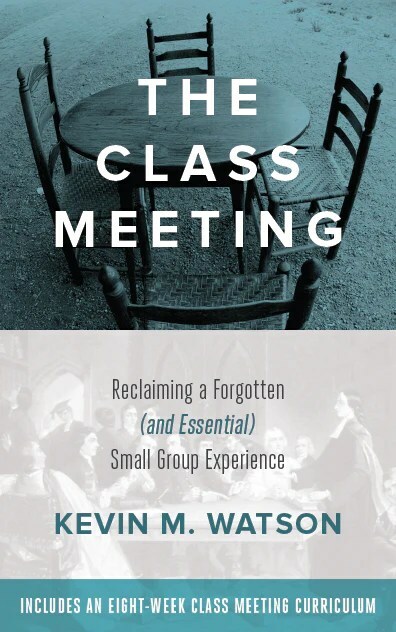 As the United Methodist Church struggles to redefine itself and its mission for the next generation of disciples, Kevin Watson has managed to reconnect us to a timeless practice that has the potential of “revitalizing” our denomination—the Class Meeting! place we’ve yet to look—the class meeting! Kevin Watson understands this, and he writes out of both research and personal experience. The strength of authentic Wesleyanism is that it denies the sharp distinction between head knowledge and heart experience. Rather, it unites them. We find that strength here in this practical book. To be effective today, the class meeting must be re-contextualized (that is, made workable) without losing its essential dynamic as gospel-based accountable community. I commend this book as a useful tool that, if put into practice, can achieve that goal. We want to know and be known. We need to hear each other’s stories. Watson’s compelling case for reinventing the Methodist class meeting recognizes that holy living must be rooted in confession, accountable community, testimony, and gentle shepherding. Wesley Fellowship Groups began and I had the honor to watch an outpouring of the Holy Spirit. If this is a hunger in your heart, then this book by Dr. Watson will be a “must read” for you. Dr. Kevin Watson’s emphasis upon renewing the Methodist movement takes a pragmatic approach. The intent of this book is to be practiced, not merely read. This powerful practice must be reclaimed, but not just for adults, for all ages. Do your youth pastor a favor and give him/her a copy of this deeply-rooted and thoroughly-practical book! 2. ability to connect with ordinary people. The system Asbury crafted made it possible to keep tabs on thousands of preachers and lay workers. Under his leadership, American Methodists anticipated the development of modern managerial styles. No merchant of the early nineteenth century could match Asbury’s nationwide network of class leaders, circuit stewards, book stewards, exhorters, local preachers, circuit riders, and presiding elders, or the movement’s system of class meetings, circuit preaching, quarterly meetings, annual conferences, and quadrennial general conferences, all churning out detailed statistical reports to be consolidated and published on a regular basis (8). Wigger also highlights the importance of intinerant (travelling) preachers for his system. Interestingly, maintaing this system was also one of the major challenges of Asbury’s career. He fought to maintain it; however, because he was convinced of its significance for the success of American Methodism. A “less obvious, but equally important” part of Asbury’s systemt was the “necessity of a culture of discipline.” Here, the early Methodist class meeting is discussed, including Asbury’s continuation of the requirement that in order to be a member one had to participate in a weekly class meeting. Finally, Asbury realized his own limitations and delegated authority to others. He did this at a variety of levels, the most visible being traveling preachers and class leaders. Asbury was an effective communicator because he instilled a culture of discipline in Methodism that allowed for a sense of cohesiveness throughout a rapidly growing church, and also ensured that membership in the newly constituted Methodist Episcopal Church actually meant something. Absolutely! In fact, of the four traits that Wigger identifies, I think this might be the most pressing need in twenty-first century American Christianity. United Methodism puts a significant amount of time, energy, and resources into administrative functions and details. When I was the pastor of a local church, for example, I remember being almost overwhelmed by the number of reports I had to submit throughout the year. This was sometimes a frustrating experience because the reason for the reports was not always explained to me, and it wasn’t usually inherently obvious. Contemporary United Methodism also has an array of boards and agencies that engage a wide variety of aspects of Christian ministry. Outwardly, when one compares the structures of Asbury’s Methodism and the structures of contemporary United Methodism, there is quite a bit that looks similar. There is, however, one major change. The purpose of Asbury’s administrative work was to keep the Methodism movement going in the same direction, to cause there to be a recognizable unity among the “people called Methodists.” Oversight in early American Methodism played an important function because there was clarity about what the goals of Methodism (individually: justification by faith in Christ, the new birth, followed by holiness of heart and life; corporately: spreading scriptural holiness). In the contemporary context, I fear we have kept a passion for counting attendance, members, etc., without the common sense of purpose that originally made these things valuable. My sense is that this aspect of Asbury’s leadership style would be most easily appropriated by local church pastors. At the level of the local church, someone can cast vision, delegate authority and responsibilities, and articulate expectations for those involved in the life of the church (and hold people accountable for meeting those expectations). So what do you think? Is being an excellent organizer and administrator important for leaders in the church today? If so, how have you seen this done well? And, since this post concludes this series, what quality or characteristic would you add to being an effective communicator that Wigger did not discuss? Going from preachin’ to meddlin’: In your own sphere of influence, do you pay attention to the details of how an idea can actually come to reality? Does your church hold members accountable for keeping their membership vows in any meaningful way? If not, what are the implications of people making promises to God in the presence of the entire church and not keeping them? If you have enjoyed this series, be sure to subscribe to the blog so you don’t miss future posts. You can subscribe via e-mail by clicking here or via reader by clicking here. Asbury acted as a mediator between Wesley and common Americans. Wesley and Asbury came from significantly different backgrounds, but they shared a realization that the dominant religious institutions of their day were failing to reach most people. The great question they both addressed was how to make the gospel relevant in their time and place. The audience was never far from their minds (7). One of the major challenges Asbury faced as a mediator between Wesley and the average American was which parts of popular American culture to embrace and which parts to reject. Asbury embraced the revivalistic atmosphere that was inseparable from early nineteenth-century camp meetings. As a result, American Methodism embraced the camp meeting early on, while many other denominations hesitated. Asbury initially took a firm stand against American Methodists holding slaves. However, he ultimately compromised on this stand. The camp meeting and American slavery show the tension in engaging popular culture. Wigger ultimately argues that “this mediating impulse, transmitted from Wesley through Asbury, became a trademark of American Methodism” (7). It was certainly not without complication, but it is one of the reasons American Methodism grew exponentially during the decades that Asbury was the bishop of the newly created Methodist Episcopal Church. All religious movements interact with the prevailing culture of their adherents. Popular religous movements like early American Methodism exist in a tension between religious values and the values of the dominant culture, alternately challenging and embracing the larger culture around them. To either completely accept or reject the larger culture is to cease to be either religious on the one hand, or popular on the other. Leaders like Asbury understand this tension and work within it (7). Early American Methodism provides a fascinating example of a Christian tradition both changing the culture and being changed by it. Among other things, this example ought to chasten religious leaders or institutions that talk about cultural engagement in overly static or one-directional ways. If a person or institution succeeds in understanding and using popular culture, they will almost certainly be changed by that culture. The very fear of being “converted” by popular culture has led some to avoid engaging popular culture at all. To use Wigger’s phrase, this is to cease to be popular. Wesley and Asbury were both unapologetically in favor of gathering a large audience. The desire to be relevant (or sometimes for contemporary American Methodism to be popular once again) has led some to embrace popular culture with no hesitation. To the extent that this has happened in American Methodism, I think it is at least in part because there was a time that being American and being Methodist were nearly synonymous. Contemporary American Methodists who feel this temptation would do well to heed Wigger’s warning that to completely accept the larger culture is to cease to be religious, or more importantly, Christian. Wigger argues that the success of any religious movement “hinges on maintaining contact with the culture around them” (7). I think he is right. The Church needs leaders who know Jesus, are committed to practicing their faith in consistent daily ways, can connect with ordinary people, and understand the culture around them and who seek the Holy Spirit’s guidance for how to best engage that culture. So what do you think? In order to be effective, does a leader in the church need to understand and use popular culture? Why or why not? How have you seen church leaders do this well? How do you think it could be done better? Going from preachin’ to meddlin’: My guess is that most people tend towards one of the extremes Wigger discusses, either embracing or rejecting popular culture uncritically. Do you tend to embrace or reject popular culture? How might you be able to engage popular culture more faithfully for the glory of God? If you are enjoying this series, be sure to subscribe to the blog so you don’t miss the next post. You can subscribe via e-mail by clicking here or via reader by clicking here. Can Francis Asbury help you be a more effective communicator? Over the next four posts, I will consider each of these traits that made Asbury an effective leader. I will also consider whether these traits are relevant for contemporary church leaders. The first trait that made Asbury an effective communicator was, in Wigger’s words, “his legendary piety and perseverance, rooted in a classical evangelical conversion experience” (5). Like John Wesley, Francis Asbury was nearly obsessed with growing in love of God and neighbor. Asbury was also constantly traveling from one place to another, staying with thousands of different people over the course of his life. As a result, he had virtually no privacy at all. As his biographer puts it, “It is all the more revealing, then, that the closer people got to him, the more they tended to respect the integrity of his faith” (5) Even those with whom he had the deepest disagreements still recognized the sincerity and depth of his faith in Christ. Asbury was an effective communicator and leader, then, because people could see that he was really “walking the walk.” People often listened to him because they knew he was a man who spent time in prayer and searching the Scriptures. I think it would be. And it would be significant for helping build relationships with non-Christians, not just leading other Christians. Over the last past decade, there has been quite a bit of conversation about the perception by non-Christians that Christians are hypocrites. (I’m thinking of unChristian by David Kinnaman and Gabe Lyons, for example.) The earnestness and sincerity of a Christian leader who had “legendary piety and perseverance, rooted in a classical evangelical conversation experience” might help them gain credibility with non-Christians who are wary that Christian leaders are selling something that they don’t use themselves. The words of Jesus in Matthew, on the other hand, provide a reasons for caution. In the sermon on the Mount, Jesus warns those who are pursuing righteousness, to “Be careful not to do your ‘acts of righteousness’ in front of others, to be seen by them. If you do, you will have no reward from your Father in heaven” (Matt 6:1). Asbury’s piety was visible because he basically had no private life. But today, privacy is such a high value that even people who travel frequently to speak in churches and at conferences rarely stay with families from the group that is hosting them. A piety that is showy and boastful will not bring credibility. Nevertheless, it is important that Christian leaders “practice what they preach.” And Methodists should emphasize the importance of regular practice of the means of grace (prayer, searching the Scriptures, receiving communion, fasting, etc.). So what do you think? Will a faith that is visible through basic practices in someone’s life tend to lead others to have a higher esteem for that person’s faith? And if so, how can Christian leaders appropriately make their own practice of their faith more visible or public? Going from preachin’ to meddlin’: This post assumes that Christian leaders are spending both quality and quantity time in prayer, searching the Scriptures, etc. But this is not necessarily a safe assumption. Are you spending consistent and meaningful time with God? There was a time in my life when I remember feeling a lot of pressure to choose between the importance of a personal relationship with Jesus Christ or the importance of loving and serving other people. Around one group of people, I felt like talking about the need to read the Bible regularly and pray was seen as a form of escapism or navel gazing. Around the other group of people, I felt like concrete actions of love and service to others was fine, as long as it didn’t take away from the clear priority of spending one on one time with God. To be sure, I am oversimplifying the motivations of both groups. I don’t know about you, but I have felt at times like I was put in the awkward position of being asked to choose between cultivating a personal relationship with God or getting outside of myself and doing things for other people. Sometimes Christians are asked to choose between two things when they should affirm both of them. As I have continued thinking about the relationship between sin and the Christian life, it seems to me that the conversation often puts radical forgiveness of past sins in contrast with deep transformation by an encounter with the living God. Will you tell someone about how gracious and forgiving God is, or will you tell them about the possibility for living a new life that comes because of God’s grace? The question is sometimes phrased in a way that implies that it is either/or, not both/and because there is a concern to avoid the perceived problems of one of them. If you emphasize the depths of forgiveness that are available to us through Christ, the concern is that you may minimize the horror of sin. This is why I don’t like the cliché, “Christians aren’t perfect, just forgiven.” This can quickly turn into cheap grace that presumes on God’s forgiveness as a way of excusing continued sin. I don’t really have to change, because God is forgiving. This view is effectively illustrated by the bumper sticker at the beginning of this post. If you emphasize the reality that deep and lasting transformation (holiness) should come from an encounter with the living God, the concern is that you may heap judgment on someone who is still actively struggling with sin. A group of Christians that take holiness seriously may begin to veer away from their initial emphasis on the need for a transforming encounter with the Holy Spirit to a list of rules that define who is holy and who isn’t. This can quickly turn into legalism and pretending to be transformed, where Christians are most concerned to follow the rules and act the right way around each other. Ironically, and sadly, this also makes actual transformation by the grace of God that much more difficult. And so, well-meaning Christians sign up to promote and defend either license or legalism, though of course neither group intends to do so at the outset. But that seems to be where each leads, particularly when separated from the other. A few weeks ago, I wrote a post that argued that Christians should not discount the possibility of real growth in holiness in this life, by the amazing grace of God. As I have thought about the conversation that followed, I have found myself coming back to the idea that Christians seem to feel pressure to choose between either believing that God forgives us when we make mistakes, or that God transforms us by the power of the Holy Spirit and makes us like his Son. But, thanks be to God, Christians do not have to choose between forgiveness and transformation. The gospel offers us both. Indeed, we are sinners who are desperately in need of forgiveness. And holiness is not about what we can do for ourselves by our determined effort. Holiness is about what God is able and willing to do in us. Christians in the Wesleyan/Methodist tradition ought to particularly refuse to choose between forgiveness (justification) and holiness (sanctification), as Wesley himself was adamant that both were part of the Christian life. In her recent book, Discovering Christian Holiness: The Heart of Wesleyan-Holiness Theology, Diane Leclerc suggests that over the last generation Wesleyans have not been very good stewards of the message of holiness. She points to a crisis, which is not a crisis over how to communicate holiness, but a more devastating crisis of silence, “the lack of articulation of holiness” (15). As a result, Leclerc finds that “the pendulum seems to have swung from legalism to pessimism about victory over sin. Many of my students believe that sin is inevitable, pervasive, and enduring in a Christian’s life. Sadly, they seem to be unaware of a different way to live” (17). 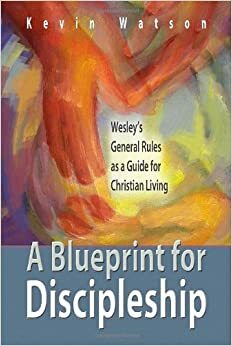 In emphasizing the possibility of a Christian becoming holy such that love “excludes sin,” Wesley did not deny our need for forgiveness. In fact, he insisted that justification by faith was logically prior to the new birth and growth in holiness. Wesley was adamant that we are all in desperate need of God’s gracious forgiveness. But he also insisted that God wants to free us not only from guilt and condemnation, but also from the very things that have power over our lives that bring guilt and condemnation. Holiness is not about our power or strength. It is about God. Which do we believe is more powerful, sin or God’s grace? The remedy the Great Physician offers is not a partial treatment that requires us to continue limping through the rest of life. Rather, he makes our joyful obedience possible. He makes it possible for us to not only be servants of God, but to be sons and daughters of God. So, are you for forgiveness or holiness? The best answer for Christians is: “Yes!” The gospel is not complete if it is not a word of forgiveness and a word of new possibility.